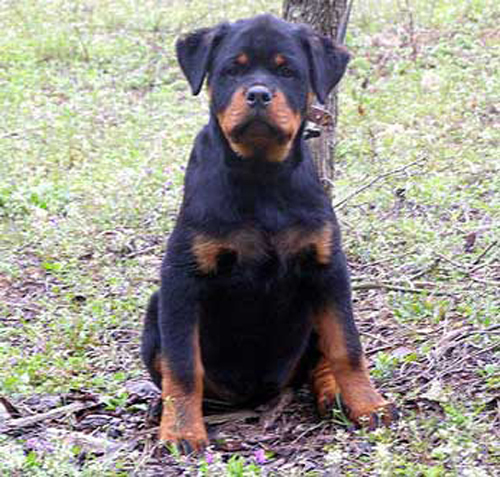 Lewis vom Kummelsee is an ADRK Rottweiler that we are extremely excited about and is a direct son of the world famous MAMBO VON DER CROSSENER RANCH. 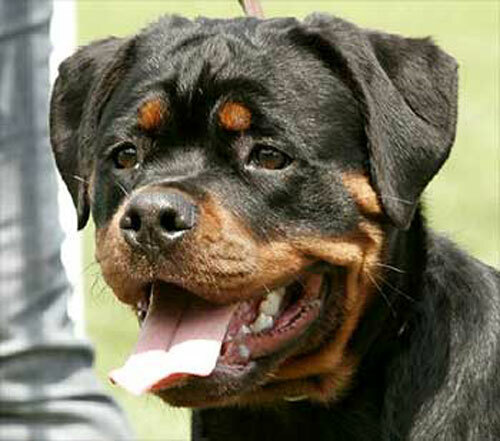 Lewis vom Kummelsee displays one of the freakiest heads that Mambo is known to produce in his offspring. 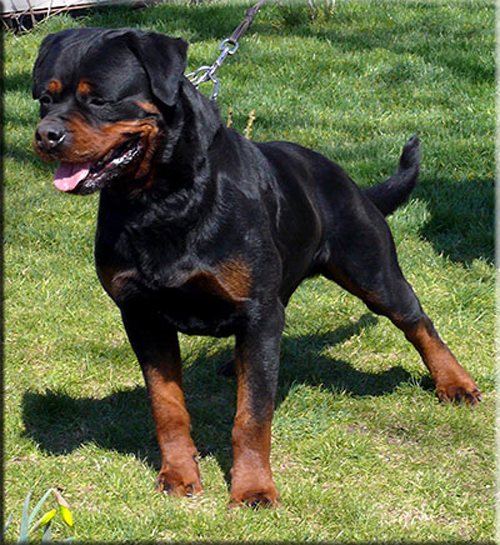 Lewis head is extremely typey with very short broad muzzle with extreme stop, very well chissled with tons of cheekbone and eye fill. 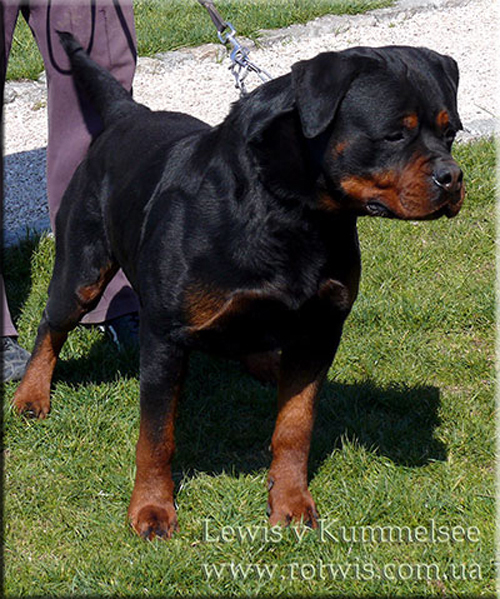 Lewis has produced some super offspring that has done very well in the show ring, he has produced XEDOR VOM KUMMELSEE, HESKA VOM KUMMELSEE, ELEISA VOM KUMMELSSE and EX VOM SCHWAIGER WAPPEN to name a notable few. 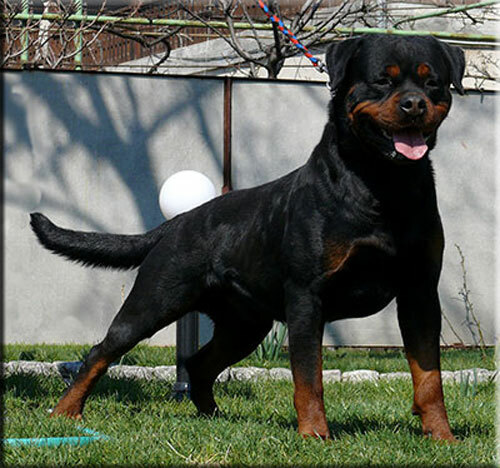 Medium sized, very well built, medium bone strength, Powerful strong head, pronounced Stop, Very short muzzle, back of nose not overall dark pigmented, Mouth pigment dark. 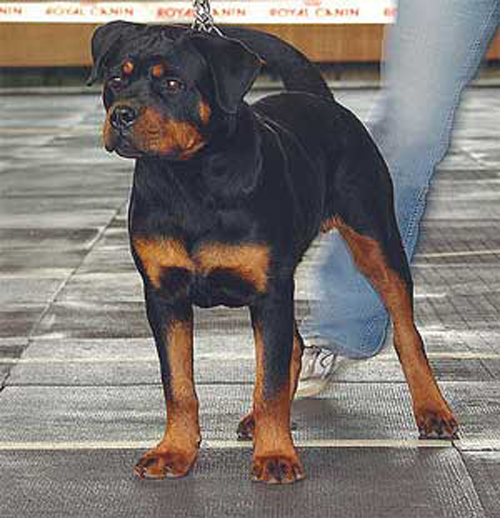 Medium sized ears, lying close as desired, Dark eyes (1b). 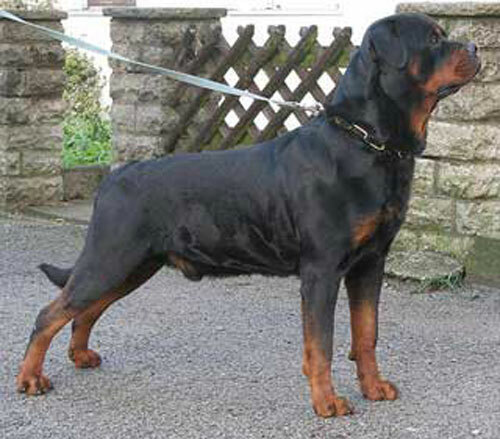 Short strong neck, straight front, paws slightly turned out. 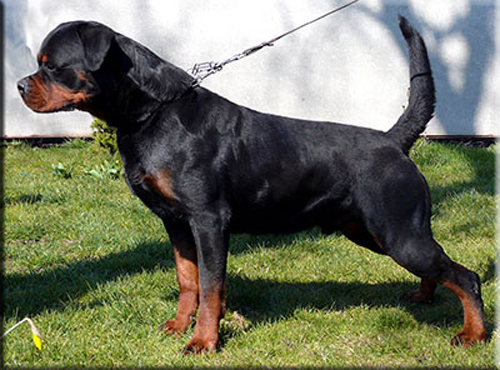 Short straight back, short slightly sloping croup. 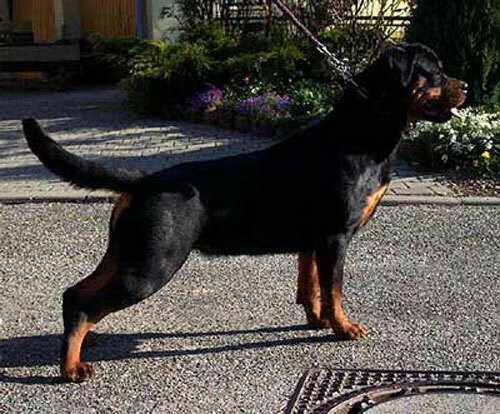 Rear correctly set and angulated. 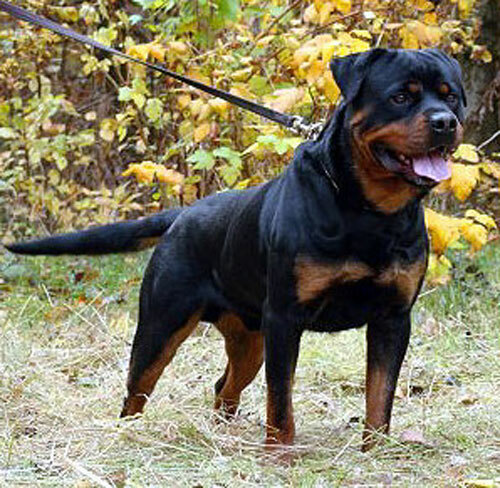 Coat and color very good. 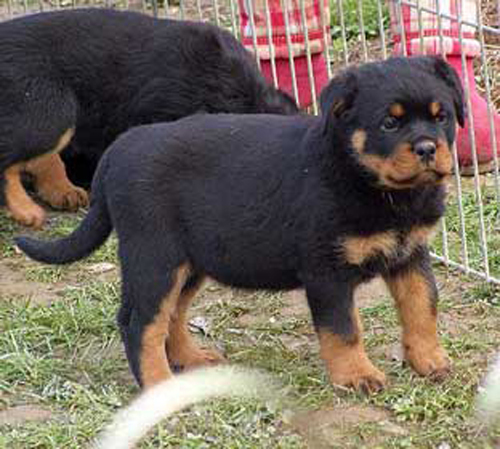 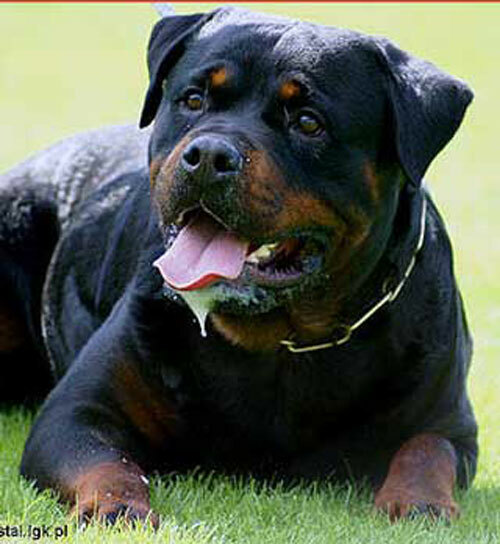 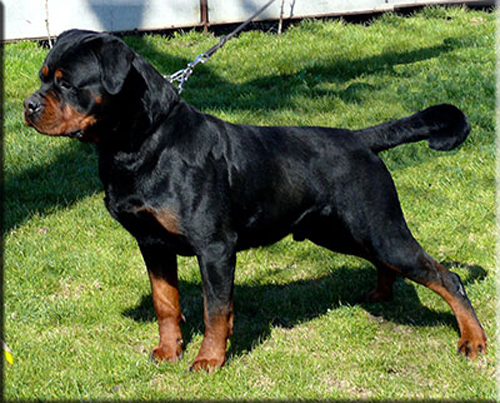 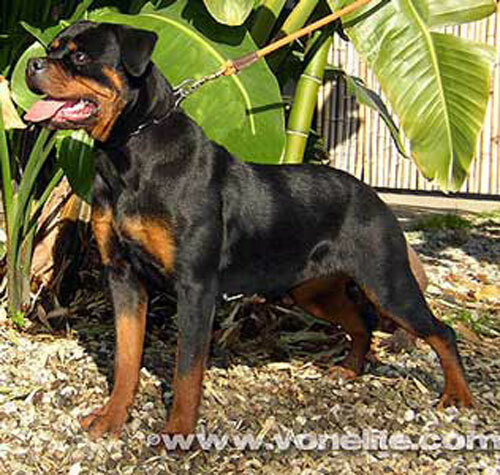 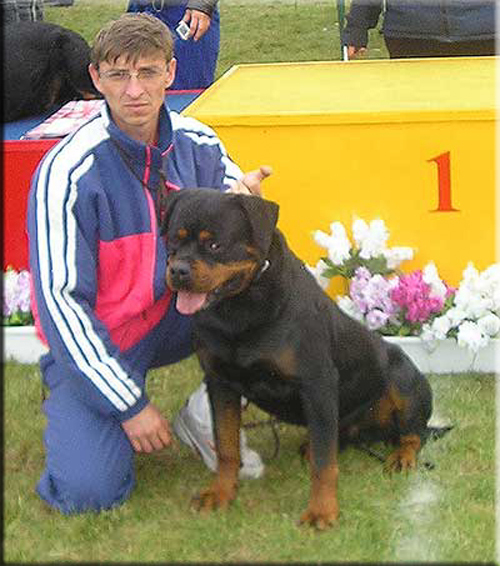 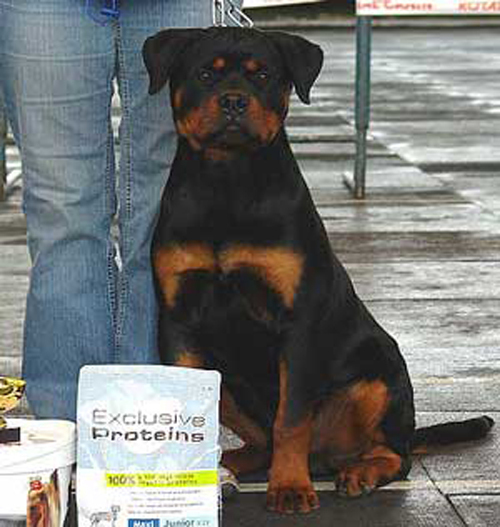 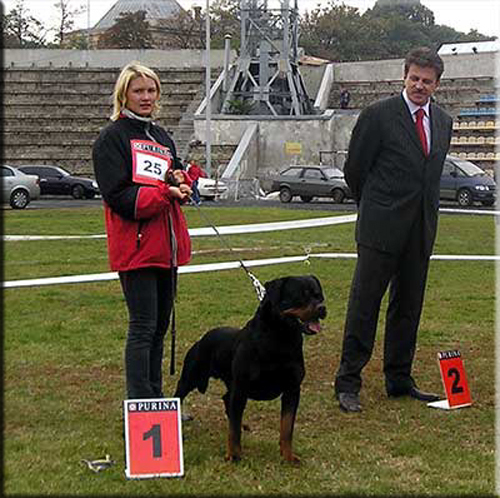 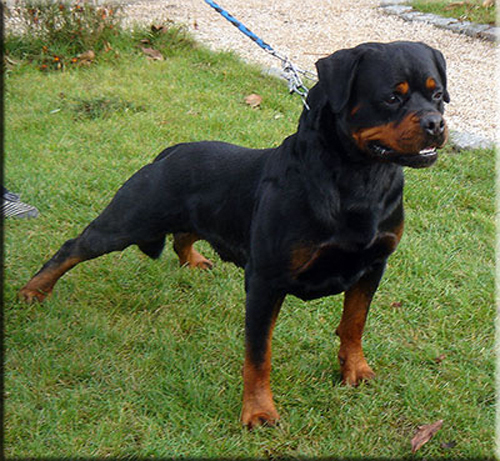 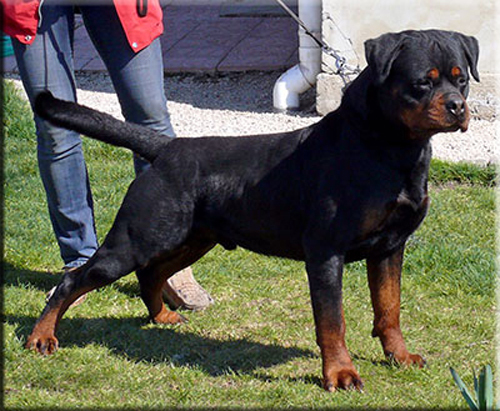 12-16-06 Kiev, UA V1 CAC, RCACIB Working Class Sarmont T.
Copyright © 2005 - 2014 vom Aztlan Rottweilers. 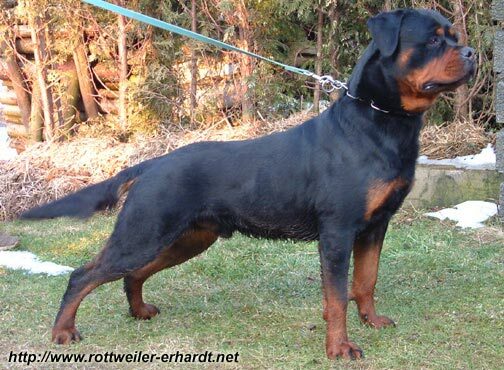 ®™ All rights reserved.